Although it is widely recognized that friction, wear and lubrication are linked together in a single interdisciplinary complex of scientific learning and technological practice, fragmented and specialized approaches still predominate. In this book, the authors examine lubrication from an interdisciplinary viewpoint. They demonstrate that once the treatment of lubrication is released from the confines of the fluid film concept, this interdisciplinary approach comes into full play. Tribological behavior in relation to lubrication is then examined from two major points of view: one is mechanical, not only with respect to the properties and behavior of the lubricant but also of the surfaces being lubricated. The other is chemical and encompasses the chemistry of the lubricant, the surfaces and the ambient surroundings. 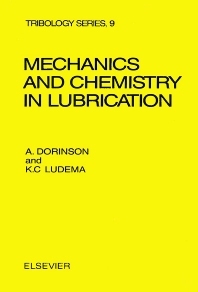 It is in the emphasis on the interaction of the basic mechanical and chemical processes in lubrication that this book differs from conventional treatments.